Precipitation is a potential factor that significantly affects plant nutrient pools by influencing biomass sizes and nutrient concentrations. However, few studies have explicitly dissected carbon (C), nitrogen (N) and phosphorus (P) pools between above- and belowground biomass at the community level along a precipitation gradient. We conducted a transect (approx. 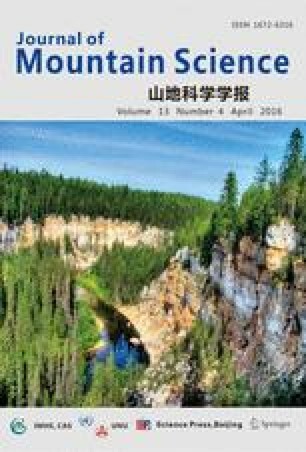 1300 km long) study of Stipa purpurea community in alpine steppe on the Tibet Plateau of China to test the variation of N pool of aboveground biomass/N pool of belowground biomass (AB/BB N) and P pool of aboveground biomass/P pool of belowground biomass (AB/BB P) along a precipitation gradient. The proportion of aboveground biomass decreased significantly from mesic to drier sites. Along the belt transect, the plant N concentration was relatively stable; thus, AB/BB N increased with moisture due to the major influences by above- and belowground biomass allocation. However, P concentration of aboveground biomass decreased significantly with increasing precipitation and AB/BB P did not vary with aridity because of the offset effect of the P concentration and biomass allocation. Precipitation gradients do decouple the N and P pool of a S. purpurea community along a precipitation gradient in alpine steppe. The decreasing of N:P in aboveground biomass in drier regions may indicate much stronger N limitation in more arid area. Supplementary material is available for this article at 10.1007/s11629-014-3117-y and is accessible for authorized users.